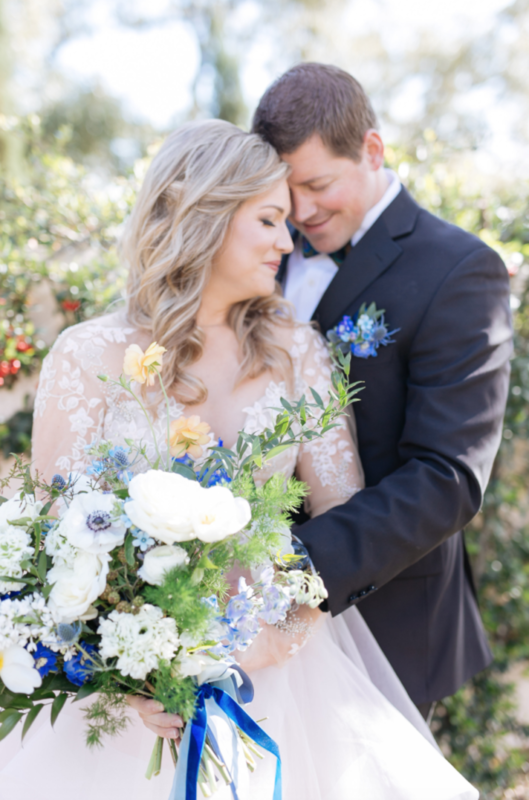 We just love when a timeless photo session makes its way across our desks, so of course this classic springtime engagement session from Smith House Photography caught our eye! Caroline and Eric knew each other in high school, but didn’t start dating until college. When they knew they wanted to spend the rest of their lives together, they wanted to do an outdoor engagement session that showed their more casual side as well as their classy, more dressy side. Rice Village and the surrounding parks in Houston served as the perfect backdrop! We love the couple’s outfit choices and the gorgeous golden hour light. Scroll through the photos and read more below to see how Eric asked Caroline to be his wife – it’s such a sweet story! Congratulations to these soon-to-be newlyweds!